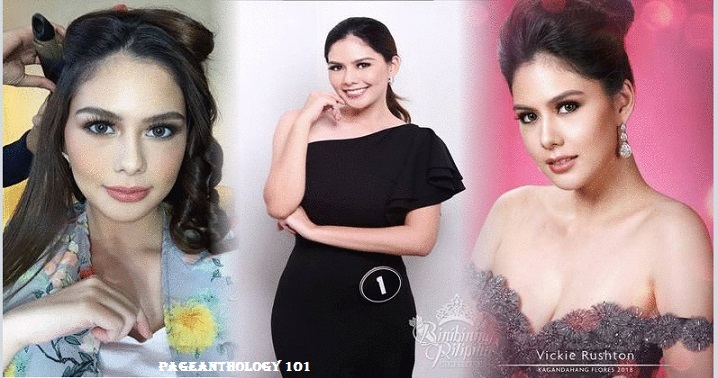 25-year-old British-Filipino beauty Vickie Marie Rushton is our #Binibini1 for the 2018's edition of the annual Bb. Pilipinas beauty pageant. This Kagandahang Flores stunner was dubbed as “Lady Mahinhin ng Bacolod,” during her stint at the Pinoy Big Brother show in 2014, where she finished 4th placer. She graduated from University of St. La Salle, Bachelor of Sciences in Interdisciplinary Studies. This 5'5" tall model/actress was the grand winner of Mutya ng Pilipinas 2011, the same pageant where the would-be Miss International 2013 Bea Rose Santiago won as Mutya ng Pilipinas Overseas. In 2011, Vickie was supposed to represent the Philippines in the Miss Intercontinental pageant (franchise now under BPCI) in Spain. However, because of the delayed schedule of the local pageant, other Mutya beauty was handpicked to represent the Philippines instead. What crown/title would you think suits her?